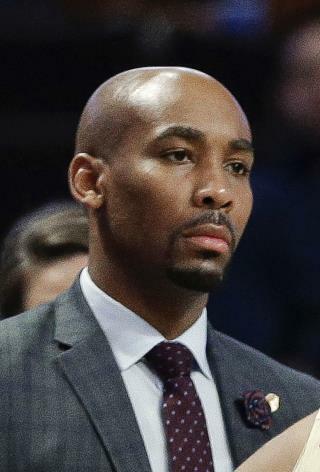 (Newser) – A single punch may have destroyed the life of a rising college basketball coach—and ended the life of a Florida man who was visiting New York City for his stepsister's wedding. Police say Jamill Jones, an assistant coach at Wake Forest University in North Carolina, surrendered to police early Thursday after learning that they were looking for the man who punched Boca Raton resident Sandor Szabo in Queens around 1am Sunday, CNN reports. Szabo—who'd apparently been knocking on the windows of vehicles looking for an Uber he ordered before his phone died—fell backward, hit his head on the sidewalk, and died in the hospital Tuesday after being taken off life support. How did it go from manslaughter to misdemeanor assault? Oh? If it had been a white male that punched a black male; there'd be chanting in the streets " can't get no justice"; rioting and burning sprinkled with a lot of looting.